This platform boasts one of the largest and ever growing banner libraries on the Internet. Members can search for banners using keywords, background colors, sizes, or whether it's animated or not. With so many banners loaded into the library, your company or product is bound to be in there! However, if you don't happen to find what you are looking for, submit a request and have IBObanners make some and put them into the library! Think of it as having access to your very own professional graphic design team! IBObanners is on a mission to become the largest collection of the best, high quality, usable banners on the Internet! Just imagine how wildly successful you will become having this resource in your advertising arsenal! Want to create your own banners, but not graphically talented? We have built the solution for you! Introducing the IBObanner Creator! As you will see, this system is simply amazing, not to mention extremely easy to use! The IBObanner Creator is equipped with drag and drop graphics, buttons, and backgrounds. 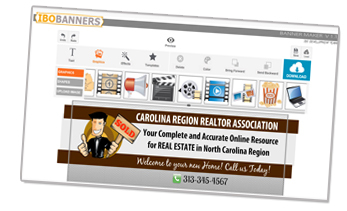 Plus, you can easily upload your own graphics and pictures into your banner, add your own text, captions, or tagline! If you don't know where to start, you can choose from one of the many templates within the IBObanner Creator, add your text and even change the background color if you want! It really is that simple! You can design your very own banner and have it ready in no time to use! You are going to have so much fun using the IBObanner Creator to make your banners! And with IBObanners, you can create and host as many as you want! The sky is the limit and you will be light years ahead of your competition and no doubt be a raging success! At IBObanners you can upload as many banners as you want into your account. The system will give you a URL to the hosted graphic that you can use for all your marketing needs. 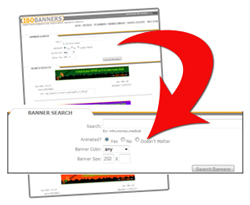 There are no limitations to bandwidth used, quantity of banners uploaded, or banner sizes at IBObanners! By being an active member at IBObanners, you will not be required to advertise the IBObanners name on your graphic. At IBObanners you will soon discover the advantage of using our platform and banner creator to promote your business on the Internet! Want to make some money helping us grow IBObanners? IBObanners has partnered with the IBOaffiliate Network to create a unique revenue generating opportunity! We will give you $3.00 per paid account that you bring into IBObanners! Its that easy! 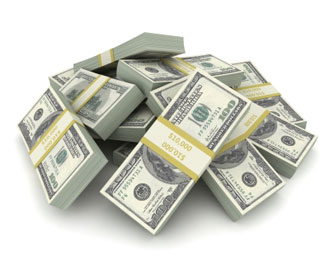 Refer someone, they create a free trial account, and they stay on as a paid customer @ $3.95 we will give you $3.00! Ready to take up the opportunity? Join IBOaffiliate now!